Summer is almost over. Soon it will be time for all good little children to return to their textbooks and assigned reading. But before you give up on all things light and warm, pick up some of these graphic novels for extended summer reading pleasure. Meet Ace and Bub, beavers who are brothers who sometimes fly. Ace loves extreme sports and is always looking for a new adventure; Bub loves napping and, well, napping. 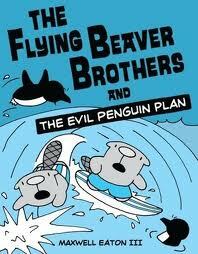 But when Arctic penguins in their giant underwater refrigerator plot to freeze Beaver Island for “resort and polar-style living,” the brothers must save the island and win the surfing competition. The two-color graphics are easy to follow and much of the droll humor is found in the contradiction between the text and illustrations. If your child likes it, you’ll want to grab the beaver brothers second adventure, The Flying Beaver Brothers and the Fishy Business (Knopf 2012), in which the brothers must expose the Fish Stix Environmental Manufacturing plant for what it really is – a giant pencil sharpener. Will Ace and Bub and their penguin cohorts Bob and Bob be able to make enough pancakes to save the forest from destruction? An outspoken, red-haired daredevil called Claudette tricks her meek younger brother and her fussy best friend into joining her on a quest to slay a giant. Together, the three youngsters must overcome man-eating trees, the Apple Hag and the Mad River King to arrive at Giant’s Peak where they will meet the towering Minu. In the end, the timid little bother proves his mettle, the aspiring princess finds that diplomacy is her new calling, and the intrepid Claudette learns that friends are better than fame. With large, colorful panels and snappy dialogue, this rip-roaring adventure is easy to read and lots of fun. There are many secondary characters whose mysterious backgrounds are barely touched on in the story, so here’s hoping that further adventures are in the works. 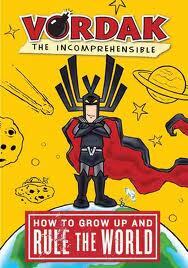 Packed with snarky humor, this book contains Vordak’s sixteen Commandments of Incomprehensibility that will help you, a random doofus, to RULE THE WORLD! With vocabulatory superiority, the grandstanding evil supergenius fills his how-to book with all sorts of useful information about everything from choosing your gut-wrenchingly evil name and costume to upgrading your evil lair. Vordak’s guide is filled with delicious babble, fun font changes, wacky drawings and thinly veiled umbrage. MUAHAHAHAHA!!! Can’t get enough? Why then, pick up Vordak’s second book, Vordak the Incomprehensible: Rule the School (Egmont, 2011) in which our bombastic super villain mistakenly shrinks himself and must pretend to be a student at Farding Middle School (say that out loud), home of the Farding Ferret. Great fun! Being homeschooled and raised with three older brothers has its ups and downs, but Maggie’s life gets a lot more complicated when she begins her first year of high school. She has to navigate the school corridors and puzzle through the complex relationships of the people who roam there, plus there’s the small matter of being haunted by a ghost who won’t leave her alone. 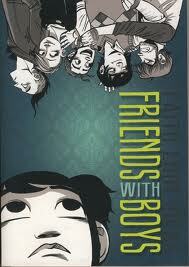 A great coming-of-age story from a truly talented artist and writer, this graphic novel is a gem. Hicks’ pen and ink drawings capture the tangled emotions of her characters through their facial expressions and body language. Much of the story is told in their silences. The ghost part of the plot may seem a little weird, but it offers an unusual way for Maggie to learn that she can’t fix everything in her life - some shadows may hang over her and that’s okay. The ghost manages to give the story a bit of an edge without distracting from the believable plot and sympathetic characters Hicks has created. Magic Tree House, the award-winning children’s series that is widely regarded among teachers and parents alike for its power to instill a passion for reading, celebrates its 20th anniversary this year. Written by Mary Pope Osborne, the popular series describes the adventures of siblings Jack and Annie as they travel around the globe and across time, solving riddles, cracking codes and helping those in need. Osborne’s books are great as a read-aloud and are enticing for young readers to tackle on their own. 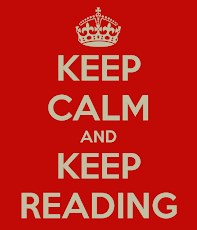 Each story contains the key ingredients of danger, suspense, humor and a little sibling rivalry. 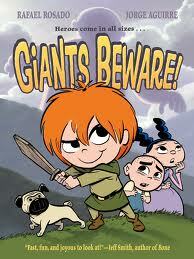 They also introduce readers to different cultures and times in history. Alongside these outstanding works of fiction, the people at Magic Tree House have created Fact Trackers – nonfiction companions to the Magic Tree House books that give readers more information about the historical events and places visited by Jack and Annie. Are your children interested in the Olympics? Show them Magic Tree House Fact Tracker #10: Ancient Greece and the Olympics. 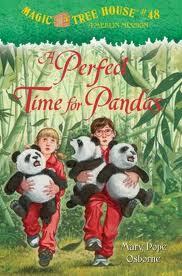 And waiting now on bookstore shelves is the newest book, Magic Tree House #48: A Perfect Time For Pandas. It is sure to please Tree House fans.